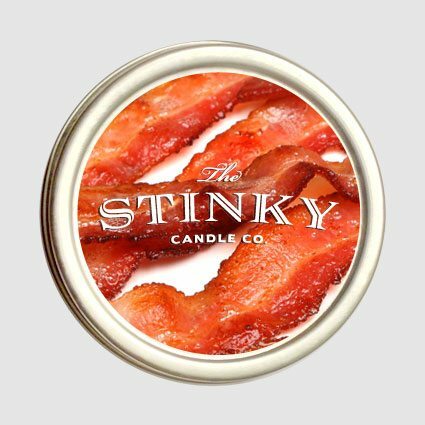 Now here is a bacon candle scent you will never get boar-ed of! This little piggy went to the wax market. Share the bacon scent with your friends, don’t hog it (we realize that to assume a person who buys bacon candles has many friends may be a stretch, but we love you). Makes a great gift for all those meat lovers in your life. Makes an even better gift for those snobby vegetarians who tell you how horrible you are for eating meat. Light it the bacon scented candle to remind them of what they’ve given up (even vegetarians miss bacon). 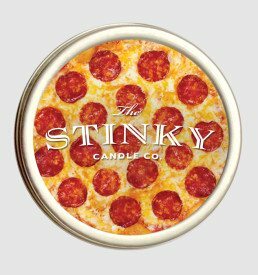 If you held a strip of freshly cooked bacon to your nose, and then held this fine candle to your nose there would be no difference! For all those who love bacon too much this is the candle for you. It conjures up memories of your favorite breakfast and makes you hungry for bacon. I love it! Bacon smells in my kitchen without the temptation! We’ve all read about the shot heard ‘round the world, but how about something SMELLED around the world? Well, at least as far as Jeju, Korea. For it was there that my top-level English conversation students participated in a “Sniff-In” — or maybe that should be a “Sniff-Off” — to rate their favorites among Stinky’s Timber, Christmas Tree and Bacon aromas. Stinky’s founding partner Jeff Bennett had kindly sent us a candle CARE package so the students could experience these fragrances while simultaneously reinforcing related vocabulary and expressions. After our quasi-scientific but most definitely official evaluations, we offer the following: Christmas Tree made some recall hikes on Jeju’s iconic Hallasan, the ginormous volcanic mountain that formed the island and is South Korea’s highest peak; Timber reminded one student of his visit to a certain Scandinavian spa and at least three others of chocolate (odd, but not a bad thing); however, the group’s favorite by a nose turned out to be Bacon, which made us ALL think it was time to break for lunch. One student thought Bacon could be used effectively to induce shoppers to buy bacon or to lure hungry passersby into restaurants. Overall, students loved the concept of “real-life” candles and felt they had a natural, non-waxy smell. One called the idea “genius.” Incidentally, a couple of students suggested it would be good to make the candles in a tea-light size (most houses and stores are small here by western standards). They all wished to be able to purchase some of the other available fragrances and even suggested kimchi as a new one. Or anything that sort of smells of fermentation…. 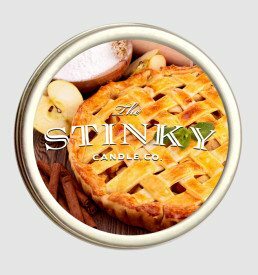 All-in-all, it was a fun experience, and everyone expresses their appreciation to the Stinky Candle Company.